Making Sense of Service Design – Why is it Valuable in Digital Projects? Design talk can make unaccustomed passengers fall off the boat in a hurry. We want to clarify some of that creative jargon to help you make more sense of your next chat with a designer or creative team. In this post, we make sense of service design and explain its value in digital projects. In short, service design is a human-centric process of creating seamless service experiences. It requires a holistic approach that considers all related actors, interactions between these actors, and supporting systems and infrastructures. “Wait, that’s exactly the kind of jargon I’m tired of hearing!” Right? A service designer’s natural habitat may seem messy to outsiders, but that’s because.. it usually is. Look at it this way. An organization called SuperBall (SB) sells snowballs to businesses and consumers. SB serves its customers through a physical retail network, but a nasty competitor, YS, has come to threaten SB’s position. How can SB answer to the challenge and remain relevant in the fierce king of the hill -game that is the snowball industry? SB can tackle these and several other critical questions by taking a service design approach to the challenge. As a result, they might end up adding a web store and a lightning-fast 2-hour delivery service to their channel mix. Whether the move in this example is a new or improved digital product/service is irrelevant. The point is, that service design will allow SuperBall to identify and explore options and discover the best solution – which could be something entirely new. How is service design done and is it any good? Service design aims to discover deep insights about what users value and dislike about a service, how and why they use it, and therefore, how it can be improved. Remember that the end user is never the only user, but that when working with digital products, value to the end user should usually be priority number one. The approach makes use of both qualitative and quantitative research methods to understand and explain the problem. 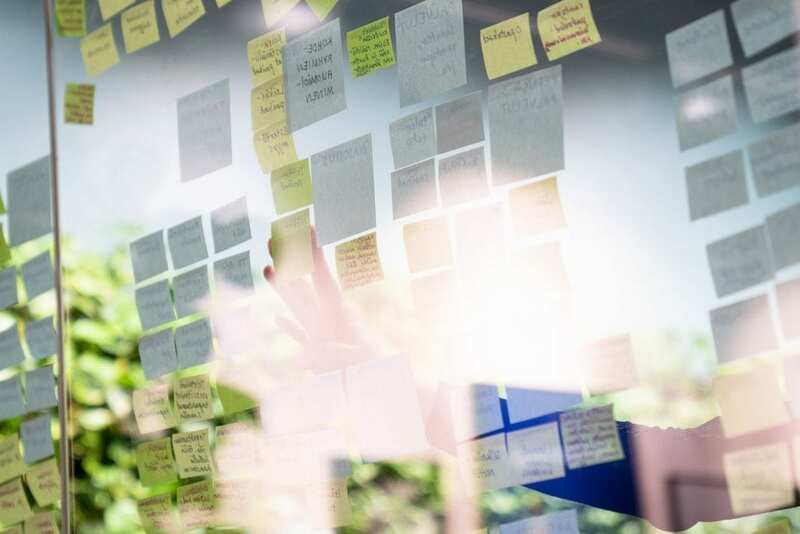 Workshops, customer journey and empathy maps, user testing sessions and massive post-it walls are all widely accepted tools for getting the job done. If you feel like digging deeper, check out the double diamond process. Affinity mapping, also known as constructing a massive wall of post-its. But why does a digital agency talk about service design? The answer is simple: digital products (websites, apps, and so on) are more often than not part of a bigger service offering. This requires those other parts to be taken into account, if we want to create a truly valuable service and experience for the users. Here’s where a service design approach becomes relevant. The times for looking at a website as just a website are over. Even the most brutal landing page is part of a customer experience and adds a piece to the holistic service flow. These things aren’t built for fun, albeit the fun never hurts. 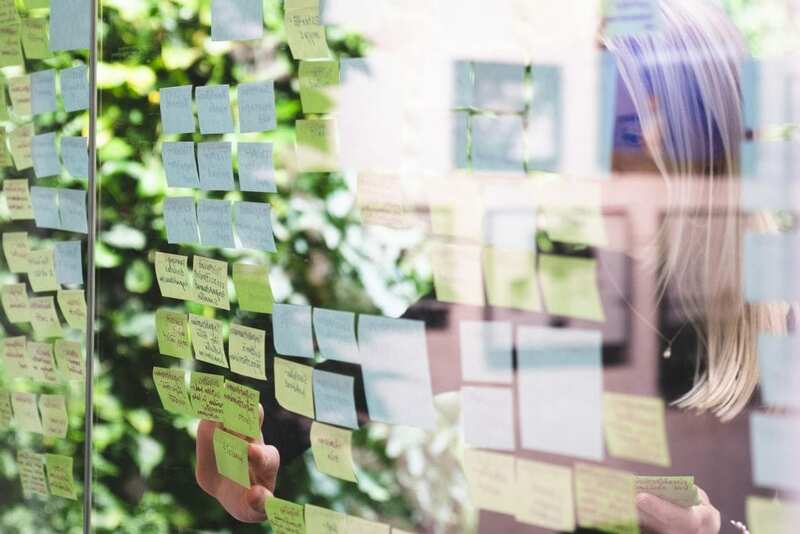 While the direct outcome of a service design approach usually isn’t a tangible product, it allows making parts of the service concrete and can present an entirely new service path, a concept or a strategic roadmap. We believe that integrating service design with UX & UI design and the technical production minimizes ambiguity, facilitates the alignment of goals and allows us to test and improve iteratively in each phase. When service designers work together with the designers and developers who make the end product come together, we can make sure that the insights from the users really carry out to layouts, content and code. So, let’s recap. How can service design help you make the most of your digital tools and strategy? The approach will allow you to align your efforts more efficiently and consistently, especially with complex service entities, where one product or service is just a part of the whole. Service design can ensure that the big snow ball of your business keeps building momentum and rolling to the right direction. Once you understand the big picture, it becomes easier to design everything up until the finest details in your product and service offerings. Insights drawn from user understanding allow you to provide more value to everyone involved. If you have a digital challenge that could use a service design approach, give us a call. Did this help you see the value of service design? Share your thoughts on Twitter.